Whenever I cook for Thanksgiving I am amazed at how much butter and fat go into so many traditional dishes. Ever count the pounds of butter you go through making Thanksgiving dinner? It is amazing! So I like to consciously add a few sides that are truly good for you. I found this salad on Epicurious and it is spectacular for Thanksgiving and great any time of year. 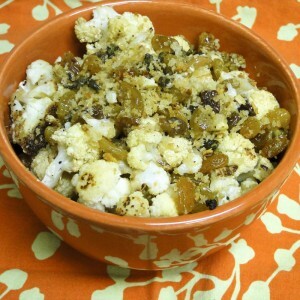 This recipe was originally published in the December 2012 publiciation of SELF magazine. 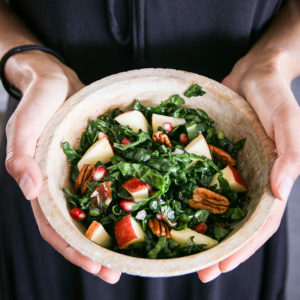 Aside from being healthy, the other brilliant thing about this salad is the dressing and kale is made a day ahead of time to tenderize the kale. Actual preparation time is minimal. Right before serving toss in the almonds, dates and parmesan cheese. Making this salad ahead of time makes Thanksgiving that much easier. If you don't have 24 hours to let the kale sit, at least let it sit in the lemon and honey mixture 20 minutes before adding the olive oil. 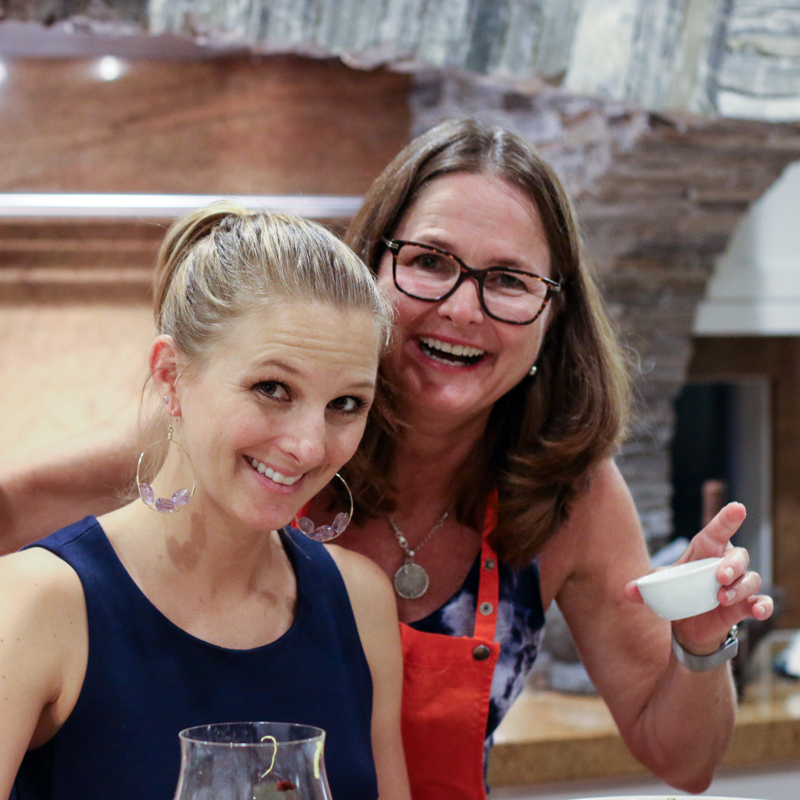 This recipe lends itself to all kinds of fun variations. For other Thanksgiving options consider substituting or adding dried cranberries, fresh persimmon slices, apple slices or pomegranate seeds. Kale salads just do not photograph very well. I know my photograph will not be what convinces you to try this salad. I promise this salad is every bit as tasty and it is very good for you. See my post on kale to learn why kale is so good for you. I encourage you to purchase parmigiano reggiano for this recipe. This authentic cheese adds a salty umami, that complements the sweet dates and bitter kale. A little goes a long way. A healthy make-ahead salad, perfect for Thanksgiving or any time of the year. 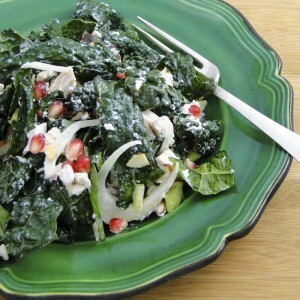 Use the dressing and method for preparing kale, and then have fun experimenting with variations. Great with dates, cranberries, apples or persimmons. Put shallots in a small bowl and whisk in lemon juice, honey, salt and crushed red pepper flakes. 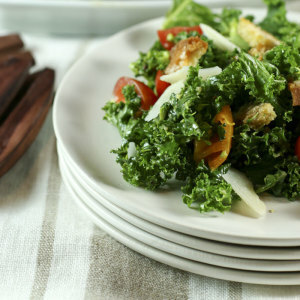 Toss sliced kale with dressing. Use your hands and toss well, making sure every bit of kale is coated with dressing. Let sit for 20 minutes. Add olive oil and toss again, making sure all the kale is well-coated in the oil. Cover bowl and refrigerate for 24 hours. Or serve right away if you don't have a day. Add toasted almonds, dates and parmigiano reggiano to the kale. toss well and serve. Delicious! I served this at a dinner party and everyone raved about it. 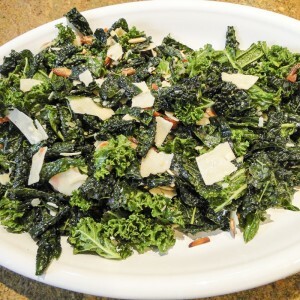 The sweetness of the dates and honey, the acidity of the lemon juice, the heat of the red pepper flakes, and the saltiness of the cheese added to the kale is fantastic! Thank you for writing in Beth. I agree this recipe is successful because of its balance of sweet, sour, salt, heat and bitter. So glad you enjoyed it! The best kale salad i’ve ever had!! I made it with the Chilean Sea bass recipe and wasn’t sure of the pairing but it worked great together. I didn’t have time to wait 24 hours so i just let it sit 20 minutes added the olive oil and let it sit again another half hour before adding the dates, cheese and warm toasted almonds. The kale had time to tenderize but was still crisp. 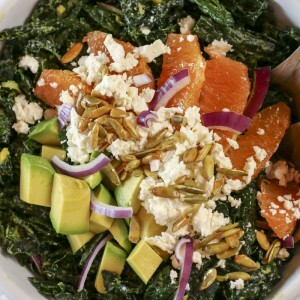 My new go to kale recipe!! Thank you for your comments. I agree, you don’t have to wait 24 hours, but it is a nice option if you want to get a jump on your meal. If you like this you might also try my Kale, Broccoli and Tomato Caesar Salad.